The Sub Ohm coils for the Cleito 120 Clearomiser assures you a Powerful and Intense vape. The Cleito coils are created with double parallel wires in Kanthal. The Cleito 120 coils are available in 0.16 Ohms for a vape from 100 to 120 Watts which can, depending on your liquid achieve up to 160 Watts. It is advised to respect the range of utilisation of coils in watts. The coils for the Cleito 120 Clearomiser are designed to endure increased power, up to 160 Watts. The coils are imposing, nearly the same length as the 40mm tank, which is recovered with a large quantity of fiber. No loss of flavour with a massive vape. The double parallel wire of the Cleito 120 Coil allows it to achieve up to a maximum of 160 watts with a large surface of heat. It can nevertheless be used from 100 to 120 watts. This coil is very reactive. The Cleito 120 is designed for the Classic Power Mode (Varied Watts) and has a value of 0.16 Ohms. 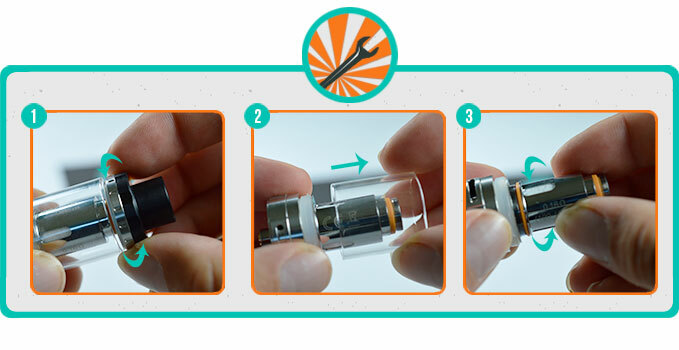 The Cleito 120 Coil must be perfectly soaked with e-liquid and is advised to wait from 2 to 3 minutes before vaping whilst the first utilisation. In effect, the coil is covered with a large thickness of Organic Japanese Cotton. The coil of the Cleito 120 is designed with an Anti-Projection Trick. In effect, the projections of liquids are retained by 6 small teeth which are placed in a certain circular position underneath the cotton. A trick which is efficient against the rising of Juice. The Cleito 120 is imposing, it is nearly the same length as the tank and is covered with an important quantity of fiber. The Cleito 120 must be perfectly soaked with liquid and is advised to wait for 2 to 3 minutes before vaping whilst the first utilisation. The coil is designed for the classic Power Mode (Varied Watts) and has a value of 0.16 Ohms. It can be used from 100 to 120 watts, but can also achieve up to 160 watts (maximum). 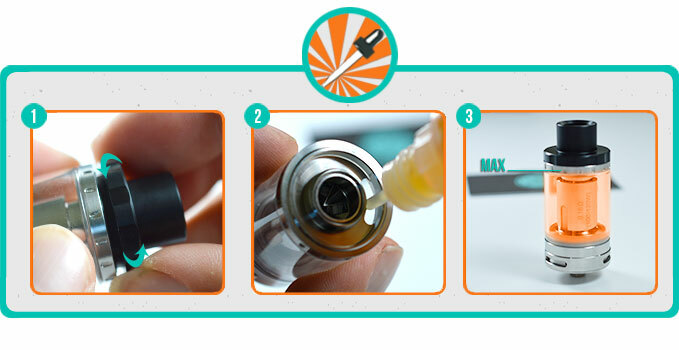 With a strong liquid in VG, the production of vape is immediate. The Cleito 120 coil is equally very reactive. The coils of the Cleito 120 are sold individually.